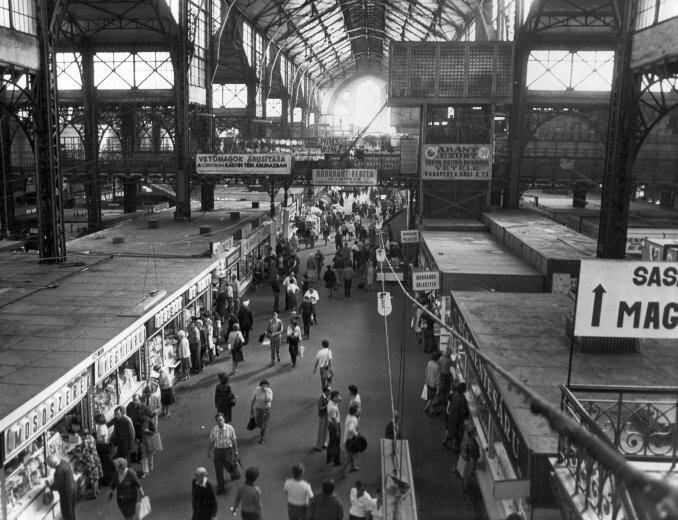 Central Market Hall in Budapest. It has two sections. One of them were for small traders and the other one was for wholesalers. The building has 3 floors. On the basement you can find the fishmarket. On the first floor you can find the main market part with the vegetables, meat etc. . On the second floor you can buy souvenir shops for bag, baskets and thousand kinds of hand made table cloth or the most famous Herend porcelain, leather goods etc. Its area is about 10.000 m2. This breathtaking building has been bombarded during World War II and was thoroughly renovated in 1994. Interesting fact, thats it was prohibited to shout, whistle, litter or swear here like at the other markets. 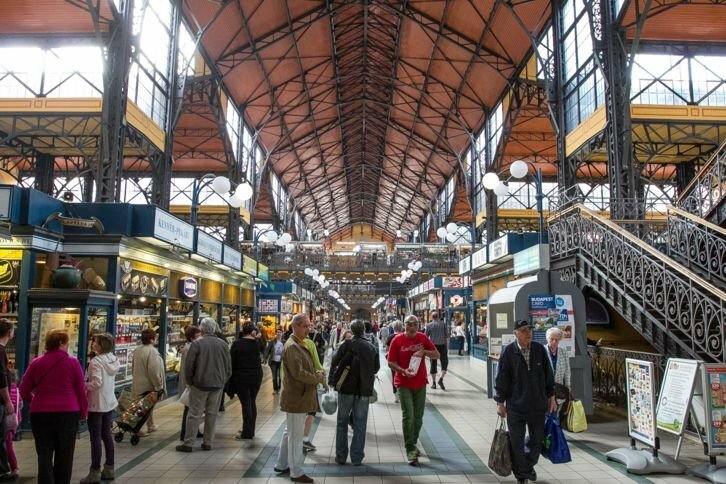 Since many thousand of tourists visit here every year, you can find a lot of typical Hungarian souveirs as well but Budapest invites a lot foreign countries to exhibit here as well and they show their traditional food and products also for tourists. If you are hungry, you can try Lángos, that is a traditional Hungarian food, a deep fried flat bread made of a dough with flour, yeast, salt and water. 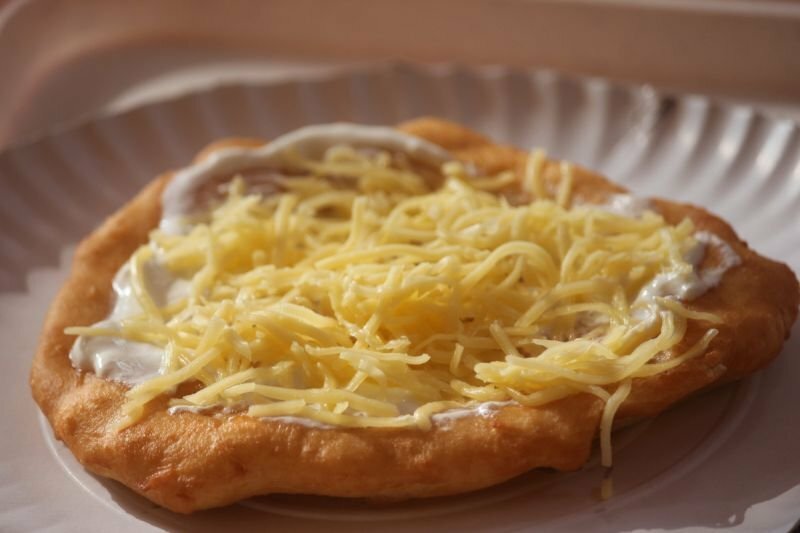 It is served fresh fried and hot, topped with sour cream and grated cheese, ham, or sausages, but from time to time you can find lángos also with new tastes, since tourists have different demands. Persian Days - March 21-23. Sekler Days (people from Rumania) - April 25-27. Indonesian Days - May 9-11. Hungarian Days - May 16-18. Croatian Days - May 23-25. Portugese Days - June 6-8. Slovenian Days - June 13-15. Indian Days - July 4-6. Thai Days - August 15-17. Hungarian Days - September 19-21. Polish Days - September 26-28. Sekler Days (people from Rumania) - Oktober 10-12. Japanese Days - November 7-9. Santa Claus Days - December 4-6. It is worth a visit, even if you do not buy anything, just enjoy the view or eat a Lángos. CSÁRDÁS, Hungarian traditional folk dance or do you want to have a Hungarian kiss? Have you ever been to Budapest? Address: Ifjúmunkás u. 20./ III. bld, IV.15.